Sixty-two days remain before South Georgia Tormenta FC and Greenville Triumph SC kick off the inaugural USL League One season at Erk Russell Park on March 29, but that hasn’t stopped the two clubs from getting to know each other well ahead of kickoff. Throughout the lead-up to the season, the two front offices have spent time talking through ideas and plans for the upcoming campaign and got to further those discussions in-person at the USL Winter Summit in December. 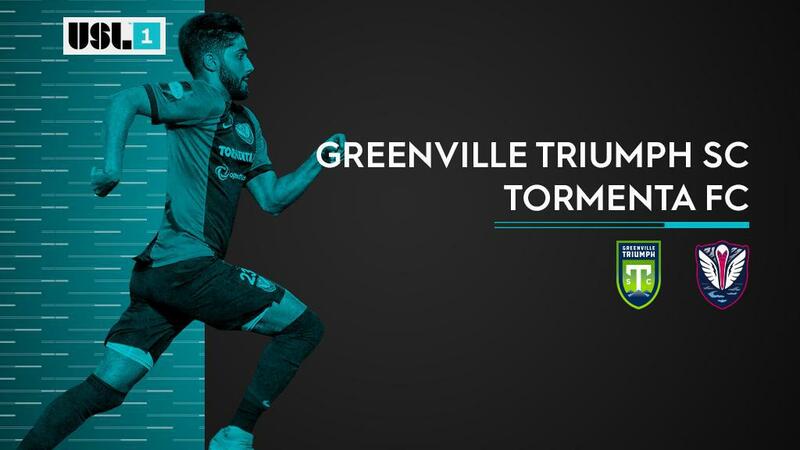 But while the business relationship between Triumph SC and Tormenta FC has been cordial and mutually beneficial, you can expect those friendly feelings to disappear when their teams finally take the field. It might not quite match the Maple Leafs and Canadiens immediately, but the four meetings between Greenville and South Georgia will ensure players and fans get very familiar with each other this season. In addition to contesting the season opener, Tormenta FC will make the nearly 200-mile drive north for matches at Legacy Early College on June 1 and August 3, before hosting Triumph SC on October 5, the final Saturday of the season. Tormenta FC Owner and President Darin Van Tassell believes the two clubs have a lot in common and is looking forward to watching the budding regional rivalry between the duo develop over the course of the campaign. A bit of banter with the Greenville club executives isn’t the only reason Van Tassell is excited about the prospect of having a League One rival so close to home. He believes that rivalries between teams – in any sport – are vitally important to players and fans in order to build comradery around the club. That could prove to be especially true when it comes to attracting new soccer fans in Statesboro that may not know as much about that game and its intricacies. While the trip to Greenville is likely going to be the fanbase’s main attraction, Van Tassell says some supporters are already organizing bus trips up and down the East Coast to cheer on the team when it visits Chattanooga (300+ miles), Orlando (300+ miles) and Richmond (450+ miles). He did acknowledge that it’ll be a lot more difficult for fans to travel to some of the team’s games in the Mid-West and Canada but is nonetheless excited about the diversity of League One teams that will make their way to Erk Russell Park over the course of the season. While the environment in both Greenville and Statesboro will be fantastic all season long, there’s little doubt in my mind that their four regular-season meetings will be can’t-miss contests, especially if there’s a playoff place on the line in that final weekend of the regular season. While there will be other strong rivalries that develop this season – looking at you, Forward Madison FC, Lansing Ignite – this is going to be the one to watch.